*If you’re wondering how the new “We Are The World” handled Michael Jackson’s part, wonder no more. 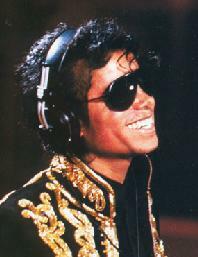 Lionel Richie, who wrote the original charity anthem with Jackson, says the King of Pop can be seen in the new video for the track, singing with his sister Janet. “We left the original footage of that part, but now he is singing with his sister,” Richie told the AP. The video will make its debut today during coverage of the opening ceremony for the Winter Olympics. “We Are the World – 25 for Haiti” features 80 artists, including will-i-am, Barbra Streisand, Lil Wayne, Kanye West and Jennifer Hudson. Lionel Ritchie should be ashamed of himself. The video is a travesty, and they should’ve left Michael OUT of it!! !